ScreenTime is a quarterly screening series of performances on film, held throughout Vancouver with a variety of partners. Each screening is followed by a conversation about the work, the artist and artists who made it, and the ideas bouncing between the two. Presented in partnership with the Powell Street Festival as part of Vancouver Asian Heritage Month’s ExplorASIAN celebrations. Our venue partner is Groundswell Cafe. This HD filmed version of the work was made by our friends at On the Boards (Seattle) through their OntheBoards.tv project. The screening will be followed by a conversation put together by Theatre Replacement Associate Artist Cindy Mochizuki. Expect a hearty helping of Freud, and possibly costumes. 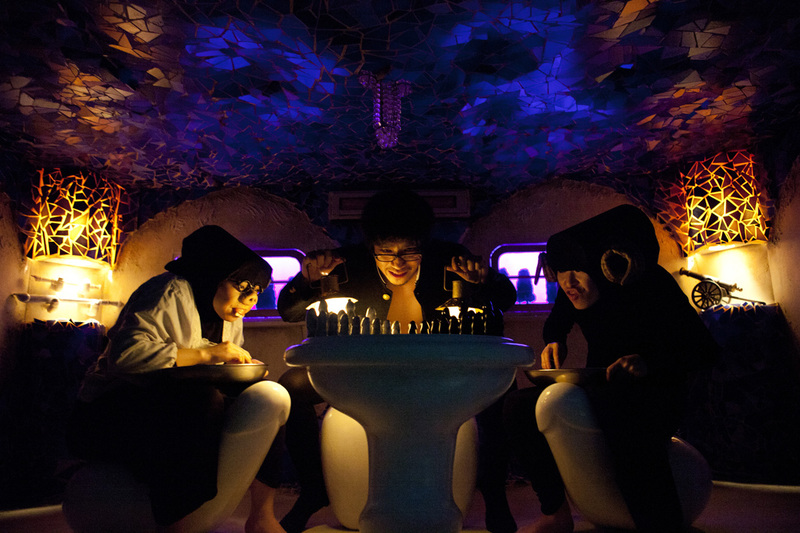 Niwa Gekidan Penino seeks to transcend the existing framework of drama through their performances in non-theatrical spaces and sets that transform the stage. Led by playwright/director (and former psychiatrist) Kuro Tanino, the company has performed abroad in Switzerland and the Netherlands. Learn more about ScreenTime and Theatre Replacement here.